There are some technological advances that are really nice to have. They make things quicker, they reduce our effort or increase our comfort, and some of them simply make work or home better. I don't have Bluetooth in my car, for example, and I still get where I need to go- but when I drive a rental that does have it, you can bet I'm using it constantly. The technology we're discussing today, Time of Flight (TOF), is significantly more consequential in the scan room than Bluetooth is in your car, but the question still remains: Do you really need it? If you're on the fence, the following are a few factors that might help you arrive at a more clear answer. 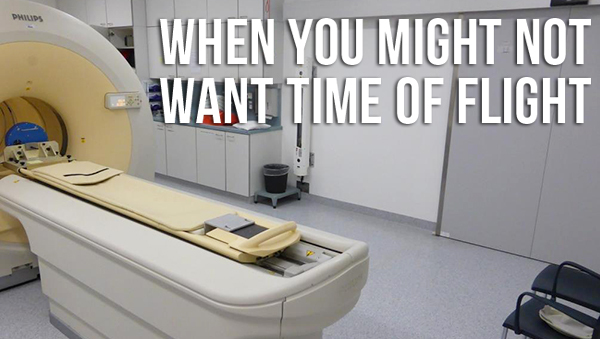 Need for a technology or equipment type is hard to define in a hospital setting. Many imaging facilities bought brand new GE and Siemens systems without TOF for several years after the technology was unveiled on the Philips Gemini TF. Those systems from 2006 - 2010 are as valuable, if not more so, than similar vintage systems from Philips. So, understandably, making a case for TOF as a necessity, or even as an "industry standard" can be difficult. Additionally, on the pricing side of things, a GE or Siemens with Time of Flight can cost 30-50% more than a non-TOF equipped system and 75-100% more than a similarly aged Philips unit with Time of Flight. One of the reasons for the price premium is lack of availability. TOF systems were not introduced into the market until 2010, and then as an option only. Because anything newer than 10 years old is a bit of a rarity on the secondary PET/CT market, we have seen only a handful of TOF systems from GE and Siemens thus far. Philips availability is much higher, but for those with the aforementioned brand preferences; a Siemens Biograph Truepoint or GE Discovery 600 series are high-performing scanners without TOF that are much more available. To secure a TOF system of any non-Philips model, you’ll need to be somewhat flexible on other aspects like configuration, price, and timing. Reimbursements are not greater for systems with Time of Flight and many don’t think the extra cost is worth it. TOF adds a higher degree of accuracy, but systems without Time of Flight are still accurate and have high image resolution. If you're not operating in a highly competitive market, TOF may just fall in the "bells and whistles" category. Will there be a day when Time of Flight is a common option (maybe even standard) on most new PET/CT systems? Sure. For now, though, it's still an up-and-coming feature that can be bypassed for those who have budget constraints working against them. Still unconvinced? Have room in your budget to go for maximum accuracy? Simply have a preference for Philips equipment? We have more information on Time of Flight here. If there's more you need to know, our team is standing by to help. Use the button below to get pricing and ask questions! Josh Nunez is the Product Manager for Molecular Imaging Equipment at Block Imaging. He is also a husband, father of 5, athlete, and literature and photography buff. Josh is energized by developing an understanding of each customer’s unique imaging needs and overcoming the challenge of helping find them the perfect equipment match.